Happy Happy Friday, Friends! Today me and my sponsors are happy to be hosting a giveaway for you! If you missed yesterday’s post it was all about strong women! Be sure to check it out as it goes hand in hand with today’s giveaway. Today’s giveaway all came about because I decided I wanted some Christian workout gear to wear to the gym. It’s a way to be light and share truth without saying a whole lot. I’m not against talking to people about Jesus but when you are lifting weights and doing burpees that isn’t the most conducive time. I knew I wanted something unique and meaningful and when I went to Pinterest it led me to SHE IS Clothing! 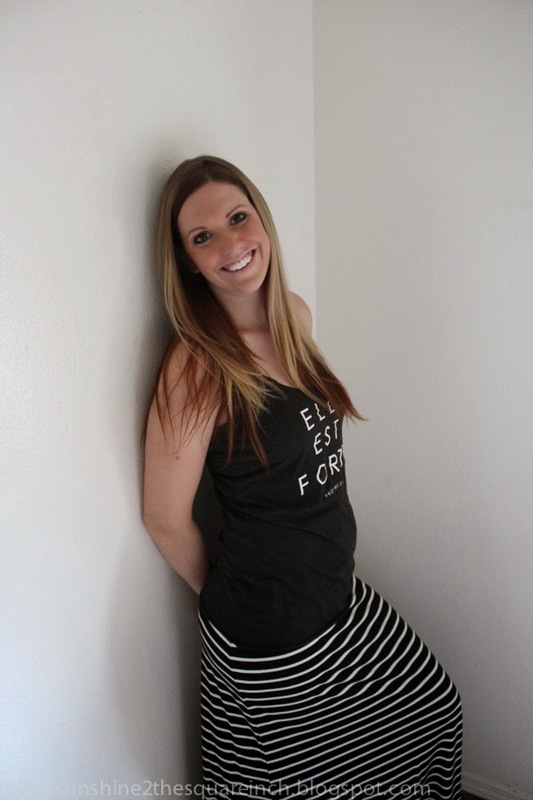 I was immediately smitten and knew I wanted a shirt for myself and one to giveaway here on the blog! 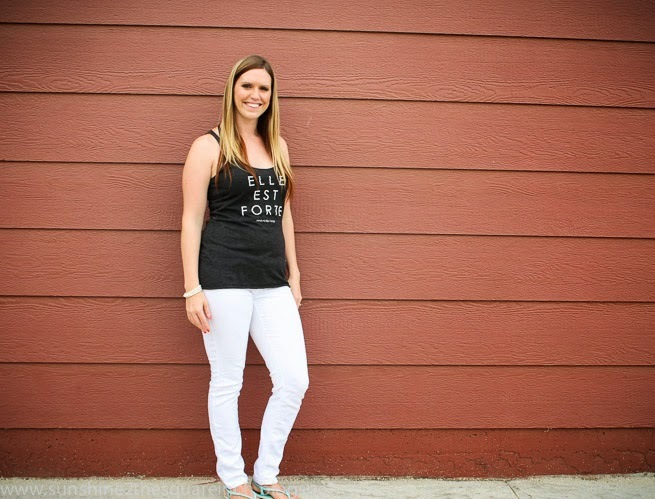 The founder of SHE IS Clothing has a beautiful story of how God brought her shop about. You know what else I love about this shirt? Each one is prayed over! How awesome is that? 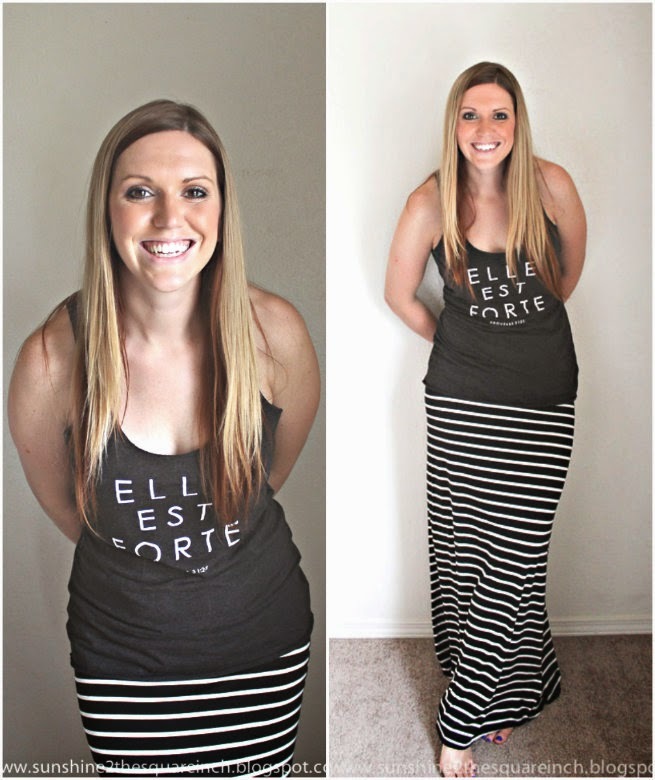 Elle est Forte means ‘she is strong’ in French. It comes from Proverbs 31:25 – Strength and honor are her clothing; and she shall rejoice in time to come. I love this shirt for so many reasons but I think something that stands out to me is that God has called us to be strong women. I also know that strength doesn’t come on my own but comes from Him giving it to me. Jesus clothes us with strength – by what He did on the cross, through the Holy Spirit that endwells us, through the Christian community and so many other ways. He daily clothes us in strength and this is just a reminder of that outpouring of His love. Today we are giving away 1 SHE IS Clothing shirt. The giveaway is open internationally and all entries will be verified. They have different options to pick from so you should just hop on over to their website and check it out for yourself. You can find them on Etsy, Facebook and Instagram. If you want to get a shirt early you can use the coupon code S2SBLOG for $5 off! The coupon is good until Tuesday, June 17th. Also a big shout out to the sponsors on my sidebar this month. I really hope you will stop by their blogs as they each bring a lot to the blogging community. I think I've said before that I love these shirts! I want one so bad!! :) Awesome giveaway! Love the shirt! I bought my husband a bunch of Christian apparel to wear to the gym, but I don't have anything like that! Yay! I really liked your shirt from the pictures you posted yesterday. Thanks for doing a giveaway! I work out everyday to stay strong and eat healthy (: I love those shirts!!!!! I just got the black and gold one and I'm already swooning over that pink one! Glad you read her story and know how God is working through her and her shop. This would be a great shirt to wear to your work. Thanks for entering. Best of luck to winning! These are great shirts. Hiking is hard so kudos to your for doing that! I'm excited for your race. Even if you are a bit behind on your training I still think it is going to be a great experience for you and your husband. Me too! Glad you like them. Thanks and you are very welcome! Good for you! Healthy eating makes a big difference and to me is half the battle. zumba! I tried that a few times and it's a good workout. Good for you for doing all three things. The shirt would be fun in Spanish too but I like the Latin because it makes it so unique. This is so cute, Beka! I took Latin in high school and a semester in college and when I saw your pics from your competition, I immediately thought, "her shirt is in Latin & says 'she is strong'!" Probably one of the few phrases I could still translate! I'm going to check her out via Instagram! Thanks for sharing! I can't find a user SS2SI on insta...I'll keep searching, but just a heads up in case anyone else is having troubs! ha ha! No worries. SS2SI is the coupon code you can use through Etsy if you want to buy a shirt. You'll get a $5 discount. That's fun that you met Andrew in Latin class! I love that the shirt is an empowering reminder of the strength that we have in us through Christ! 515 am should get an award! I've gone to crossfit maybe 3-4 times at 5:30am and it is so. so. so. hard! 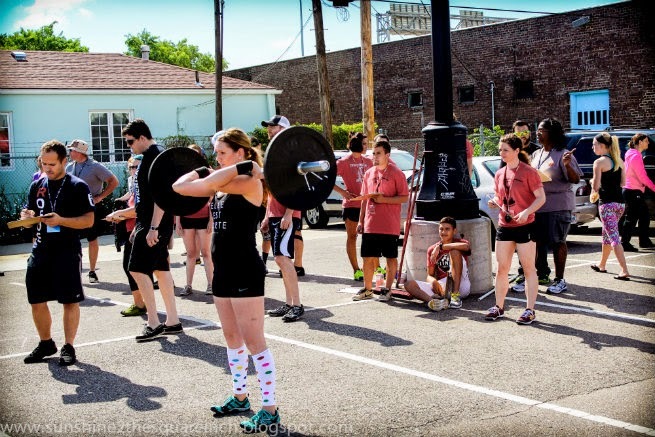 Not many people understood the Latin and I forgot to explain that the first time I wrote about my crossfit competition. You are one of the few people that could read that shirt! I forgot to explain it to people because I thought they just knew. I haven't taken Latin but I could read it because of Portuguese / Spanish. Love the shirt :) Great giveaway, friend! Lately all my warm workouts is making my arms feel strong! The shirt looks great! I try to eat healthily and go for walks to stay strong. Guess what? We were both incorrect. That shirt is actually French! =) I had a friend from Canada let me know and it makes sense because the girl who runs the shop is from Canada. I work in the yard a lot which requires lifting bags of mulch, trimming hedges etc.. Which is exercise and helps build muscle. People ask me in the summer all the time if I work out everyday because of the muscles in my arms. That's so awesome that each shirt is prayed over! It's really cute too! Me too! That's exactly why I got it. Thanks, Beth! Learning is a really great way to stay strong. Thanks, Laurel! That's one reason I really like it because it can be dressed up or down. =) Thanks for stopping by and entering. That's awesome that your son motivates you. I can't imagine many other reasons that motivating. I bet you will do your pull-ups soon! or have you already done one? Good for you! Eating healthy is half the battle. Yard work is hard! I can totally see how that would give you some toned up arms. Also, you get to be outside and soak up Vitamin D =). I agree to both things stated above. I so often forget the power of prayer but I really do think God honors those prayers and will use them to make a difference in the lives of women.